Solar power usually conjures images of vistas of panels pumping out clean power – a green alternative to dirty old coal and gas. But solar has another trick. It can also be small scale and easily deployed in out-of-the-way places – reaching beyond the grasp of conventional grids. But just how remote can solar go? 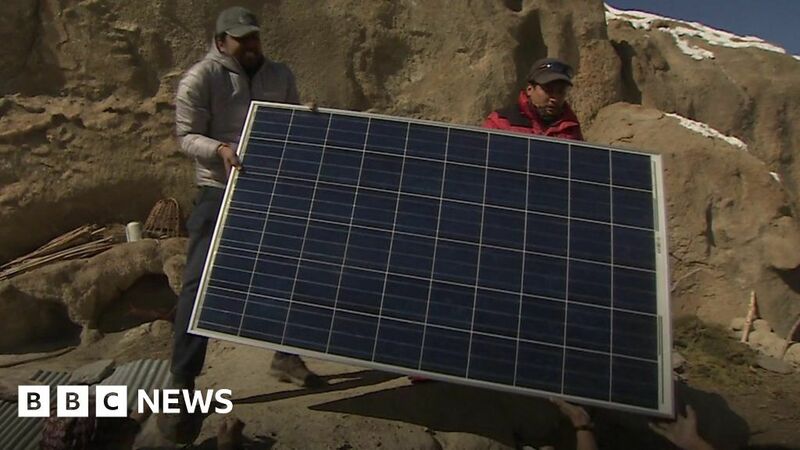 Justin Rowlatt joined a team of engineers on an epic winter trek to a remote corner of the Himalayas to see solar delivering power to communities cut off from the rest of the world.